The creations of the Company are organized in the dual dimension of theatrical works and site-specific performances in daily spaces. Arearea’s signature style lies in the urgency of continuously calling into question the traditional use of the stage and public space. Arearea is co-directed by Roberto Cocconi, founder of the company in 1992, and Marta Bevilacqua. Permanent artistic group of the Company includes Luca Zampar, Valentina Saggin and Anna Savanelli. Lo Studio is the registered office of the company, a space of creation and a training center. Lo STUDIO is a condition, as well as a space, promoting the creation of multidisciplinary performative projects, with particular focus given to new choreographic experiences. Since 2007 Arearea Company is supported by the Italian Ministry of Cultural Heritage and Activities and Tourism – Directorate General of Performing Arts. Dancer and choreographer, Roberto Cocconi has been part of Teatro Danza La Fenice Company led by Carolyn Carlson from 1982 to 1984. In 1984 he co-founded Sosta Palmizi Company. Roberto Cocconi is a representative of Italian contemporary dance culture. 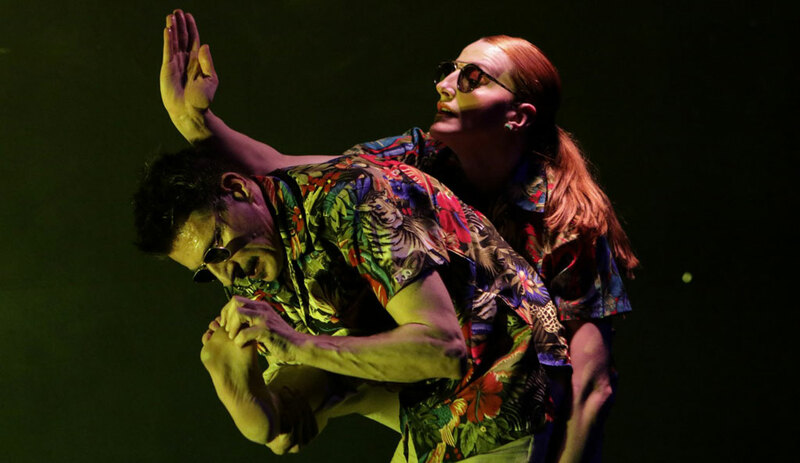 He wed his artistic career to several "missions": promoting new choreographic eyes; motivating professionals to create specific events focused on the importance of gesture culture; ensuring Arearea project continuity by using new ways of talent scouting. Technique and fondness for emotional abstraction are the burning cores of his works, created with complete trust in the body in movement. To quote Cocconi, to dance is to dance as a group. In 1992 he founded Arearea Company. Alongside him, in the artistic programming to this day, there are Marta Bevilacqua, Anna Savanelli, Valentina Saggin and Luca Zampar. Yet, Cocconi approaches many different professionals such as musicians, actors, playwrights, video-makers and art directors to create his works. By surrounding himself with professionals in various fields, he gives new challenges to the permanent group of the Company, creation after creation. Featured among his most renowned choreographies: The Walls, P.E.E.P. Ovest, special mention at Coreografo Elettronico '94 (Naples), VENTI. He is the co-author with Luca Zampar of Box_Two, a choreographic installation, and Ballad_Short as a long journey. His latest works are About:Blank, The Four Seasons. Dancer and choreographer, she has been working with Arearea Company since 1998. She trained at the Accademia Isola Danza in Venice under the direction of Carolyn Carlson (2001). Her choreographic hand is distinguished by the combination of gestural research and thematic needs. Her creations nourish themselves with philosophical references expressed through a contemporary and authorial key. Featured among her most rewarded works: Nec Nec (Anticorpi Explò), Organon_about the bulkiness of thought (Equilibrio Award), Grafts_the technical body, Ruedis_Wheels of border. Flexibility and fascination for risk bring her closer to educational and social projects soaked in everyday life. She is a contemporary dance teacher in high professional education centers such as Academy of Dramatic Arts "Nico Pepe" in Udine, Academy Art of Diversity in Bolzano, Lo Studio in Udine. She is a tutor teacher of the Performance Department in the Master Degree in Communication and Non-Verbal Languages – Ca'Foscari University of Venice. She passionately works in the dual dimension of theatre and urban dance. She worked with experimental dance companies such as Adarte, Aldes, Balletto Civile, Ersilia Danza, Naturalis Labor, TPO, CSS Teatro stabile d'innovazione del Friuli Venezia Giulia, Versilia Danza. She took part in the following international projects: Lieux Publics with the performance Daphne_for an urban mythology; Writing site by site in Graz, for the international network IN-SITU, with Panta Rei_for an urban philosophy, produced by the Royal Palace of Venaria Reale (Turin); her project Over the moon, created in Manchester, Zaragoza and Genoa, was produced by Dance Channels, an European platform supporting new choreographers. Her latest productions are Schnurrbart_Fritz according to Lou, Play with me, The Four Seasons.